Word of mouth, customer loyalty and local SEO. The aim of this blog entry is to explore how something like customer loyalty for a physical business can be used to improve SEO. Word of mouth has always been one of the best ways of attracting business but the internet age has changed how word of mouth works. On top of this Google has started taking word of mouth into account on its listings in several interesting ways. Read on to learn how as a small business you can take advantage of this. This affects both online and offline businesses hugely. 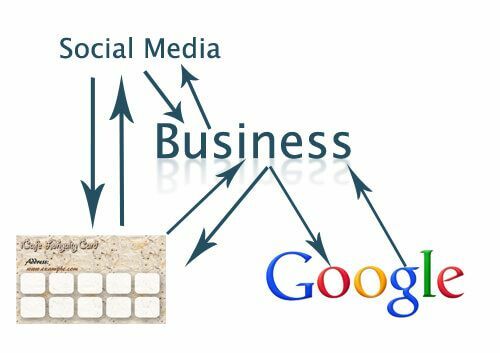 The positive is that if you can keep your business fresh in a consumer’s mind, and have provided them with regular good service then using social media other techniques you can spread your services virally. On the flip side if you offer a poor service the knock on effect can be huge. From an SEO standpoint as well Google’s local listings have changed to add reviews. While we don’t read reviews as gospel in the same way as we might a recommendation from a friend reviews are both hugely influential in getting traffic to your website and improving your local SEO. Reviews and social media are the word of mouth of the internet. Now when people search on Google for cafes and restaurants by location chances are Google map results will appear before the regular organic results. Reviews shown prominently on the listings. Traditional SEO still affects the rankings but as you can see from the image below, the cafe with the most reviews is ranking first. This is because reviews seriously drive conversion. If we made this search from a phone there would be two main factors affecting which cafe most of us would choose. Distance from my current location – shown on the map, and what we perceive the value for money we will get – based off the reviews. As the majority of the top result’s reviews have been positive, and it has a lot of reviews most it would be most people’s choice. Google uses an algorithm to calculate positioning so techniques can be used by physical businesses which both increase customer loyalty and online positioning. Recently Google has made reviews even more important. If you are able to get thirty positive (over 3.5 star) reviews within the last year then these reviews will appear on your regular Google listing. This makes websites look a lot more reliable to potential customers. In addition this can greatly improve the click through rate to your website – another way that customer loyalty can improve SEO. Establishing the link between review on Google with positioning on local search terms means that something physical, like a customer loyalty card, can increase SEO while also being good business practice. If you are a new business trying to establish yourself then offering a freebie to be reviewed will often pay for itself if local search is important to you. For physical businesses, particularly catering types, loyalty cards can be great to encourage repeat business. You can also offer rewards for following social media and inviting friends to join the program – join our social media get the first line instantly filled for example. I would advise against asking for reviews because it is bad practice. People are unlikely to give you 5 stars. Creating a strong social presence by giving people rewards to revisit your business, then reinforce this online with special offers you will build a large and regular customer base and achieve this for you. Over time if a loyal customer who likes your business and has referred a few friends to you they are likely to give you an excellent review. When this is done right you can watch your social following grow as your repeat business grows and your site gets more traffic. When you have a social following you can market towards the particular online channel. Making posts on Facebook to be shared or tweets to be retweeted in return for discount codes will help keep business busy. A busy business give a professional feel while also increasing your customer reach through obtaining more followers. A large social following creates inbound links and has a knock on beneficial affect for less local searches. 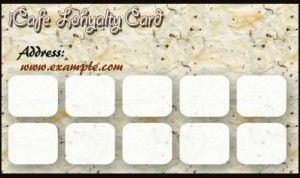 Loyalty cards are a tried and tested way of helping your business grow. In the internet age they can be hugely more effective.